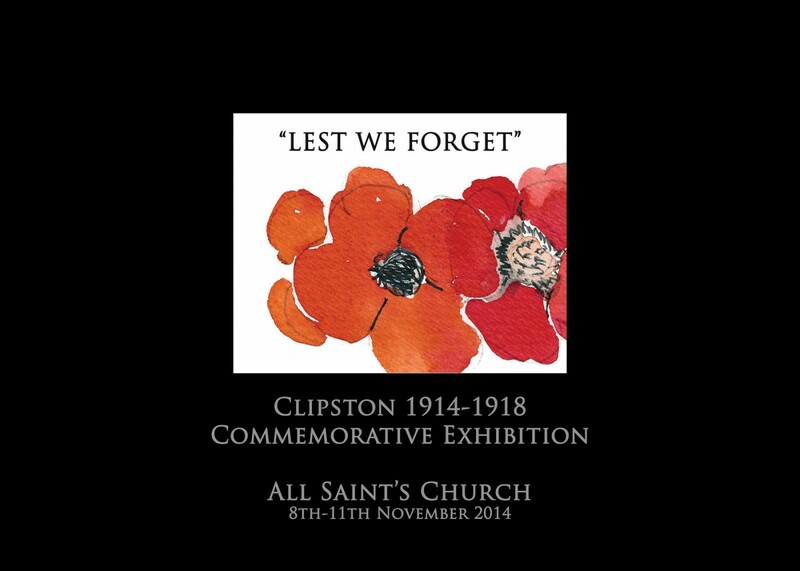 The centennary of the First World War was marked by a presentation of local history, war memorabilia, poetic and floral interpretation and slide show in All Saints Church, 8th - 11th November 2014. Every year at the annual armistice service, the names of those from Clipston who lost their lives in the Great War are read out. We are now able to put faces to most of those names thanks to the research of Dora Tebbutt who, in the late 1970’s and early 1980’s, painstakingly contacted the families of the deceased and borrowed the pictures reproduced here and also recorded the histories and family links shown in this short presentation.